Nanaimo’s own Fall Home Expo returns to Beban Park Auditorium this weekend! Find everything you need for your home improvement dreams at this three-day event, showcasing the latest and greatest products and services in the area. Local business owners and industry experts will be available all weekend, with the opportunity to talk one-on-one about your list of projects. The show offers everything from small cosmetic changes suitable for all homes to large-scale renovations and real estate. There is truly something for everyone! Join us at the Nanaimo Fall Home Expo the weekend of September 28-30, at the Beban Park Auditorium at 2300 Bowen Road. 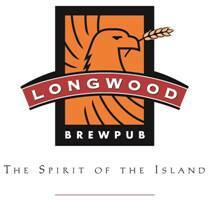 Free admission all weekend, plus your chance to WIN dinner out at Longwood Brew Pub! Looking for information for Exhibitors? Click here to switch to the Nanaimo Fall Home Expo Exhibitor Information!